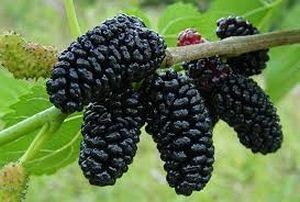 Black Mulberry Tree £15.00 - Mulberry Apple Trees and Fruit Trees For Sale. Buy at competitive prices with wholesale discounts. A Medium sized tree that bears heavy crops of sweet black fruit July /August.<br> Attractive knarled bark and an interesting leaf with good autumn colour, this tree makes a Focal Point in a garden. A Medium sized tree that bears heavy crops of sweet black fruit July /August. Attractive knarled bark and an interesting leaf with good autumn colour, this tree makes a Focal Point in a garden.